Metrics. Measures. How high? How low? How fast? How slow? Ever since the dawn of humankind, we've had an innate and insatiable desire to measure and compare. We started with the Egyptian cubit and the Mediterranean traders' grain in the 3rd millennium BC. Today we have clicks per second, likes, app downloads, stars, and a zillion other ways to measure what we do. Companies spend ridiculously large sums of cash developing fancy KPI dashboards and chasing their needles on a daily—and sometimes hourly—basis, in the quest for the ultimate, ongoing measure of their health. Is it worth it? The answer to this question is as simple as it is annoying and not particularly helpful: It Depends. In this column, I'm going to take you on a journey into the treacherous yet rewarding world of community metrics. I'll explore existing research, available tools, case studies (good and bad), and ultimately use what I've learned to develop a playbook for you to reference when creating (or improving) your own community metrics. You can then use these metrics to know—or at least approximate—where your community is today, where it's headed, and (spoiler alert! ), what to do when that direction isn't quite what you need to reach your community's goals. 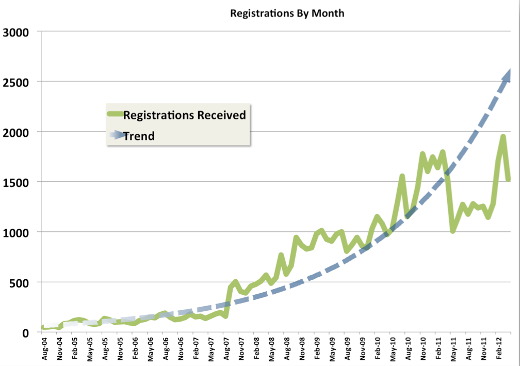 In February 2011 we were "dinged" for what was clearly a slowdown in registrations. Something was very wrong, they said. The ship was clearly on fire, they said, and the community manager was at the helm. Not surprisingly, my LinkedIn activity picked up quite a bit that month. So what happened? Funny story—it turns out, in February we enabled a CAPTCHA on our registration form and started blocking spammers rather effectively, drastically depressing the new registration count. A few months later, after the analyst report, spammers figured out a way to get around the CAPTCHA, and things returned to "normal". These and other "first order" metrics belong to a class of metrics called vanity metrics, which is an awesome and accurate term describing their superficiality and meaninglessness. Relying on them as a measure of community health is tempting, but taken out of context, they easily can be misleading, gamed/rigged, or even selectively chosen to fit a desired narrative. This was exemplified in a recent episode of HBO’s Silicon Valley, Daily Active Users. In the show, while the company celebrated the 500,000th download of its software platform, the founders realized the more accurate measure of success—Daily Active Users—was shockingly low, so they hired a click farm to game the system and impress investors. The plan backfired and they ultimately had to resolve the underlying usability issues, teaching them (and us) a valuable lesson in vanity metrics. If that's all you have, and you have no other choice but to report them to a demanding exec or an overdue analyst questionnaire, then go for it—but consider using the opportunity to explain why having more accurate metrics that align with the business is better in the long run. And then get to work coming up with better metrics that more accurately tell the story of your open source community and help guide your decision making in the future. See you next month! I'm a huge fan of qualitative analysis, which is much harder to report when it comes to the health of communities and publications. Quantitative analysis shows us which articles readers clicked on, but doesn't tell the whole story. Did they read it because they like that topic/author/headline? Was the article a great resource other publications were able to reference? Did it create conversation on our site (comments), or did it lead to an interesting debate on another site/community/list? Did an article that had 400 views in a month inspire a company/school/organization to adopt an open source tool? If so, I'd call that a huge success story...but we might never hear about it, and we certainly can't get reports that collect this kind of data. Did an article that had a few hundred page views bring much-need attention to an open source project/community/event that otherwise would have flown below the radar? Again, a successful article (in my humblest of opinions). If you have other ideas for how we can improve our reporting for writers and readers, feel free to send suggestions to the editorial team at open@opensource.com or to me directly at rikki@opensource.com. Thanks Rikki, I think I get it now -- those metrics (page views, etc) are intended for the _writers_, hence writers email list. I'm guessing there's a different set of metrics for the business, once that are aligned with the business. I was conflating the two. It might be interesting to discuss what the business metrics would be, as an example of metrics that matter to back up the article, but I'm not expecting to, since I presume that would be confidential. "What gets measured, gets improved." John Gall, Systemantics. 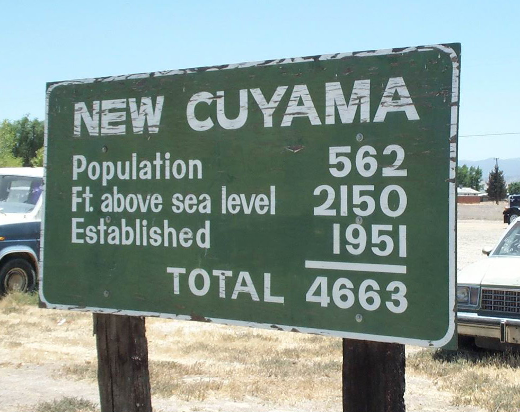 In other words, choose your metrics wisely.